Just received a press release from our friends over at NZXT. Looks like they’re introducing a new line of fans they’re calling the “FZ” line. Overall the FZ fans look like they’re pretty run of the mill, 120mm/140mm fans spinning at 1200rpms/1400rpms respectively. 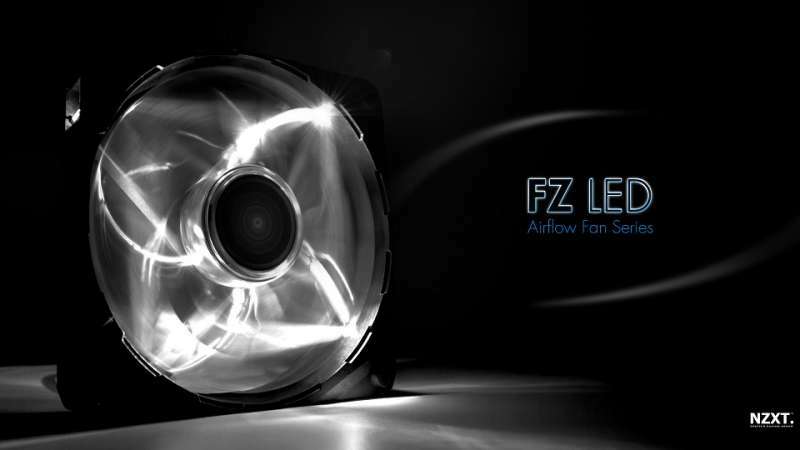 However, I think the FZ LED fans might be something some of you guys would be interested in – especially the 140mm FZ LED. I don’t think I’ve seen very many 140mm fans with LED lighting, so if you’re looking for one, NZXT might just have the solution for you. Still interested? Check out the full press release below.